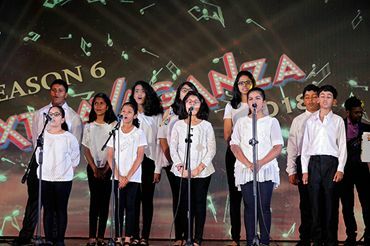 Oceankids is a world of entertainment for a four year old to the elderly folks, where there is dance, music, art, yoga, karate etc. 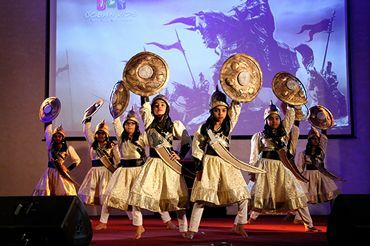 We have been in this field since 1989 and are well known for international level and inception nearly 24 years ago. 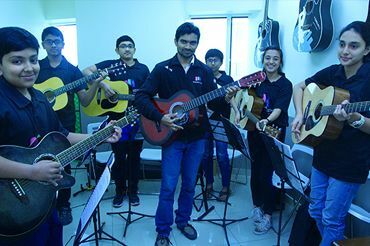 This institute has been immensely successful in building an unparalleled brand image for itself with the unending hardwork of people associated with us. 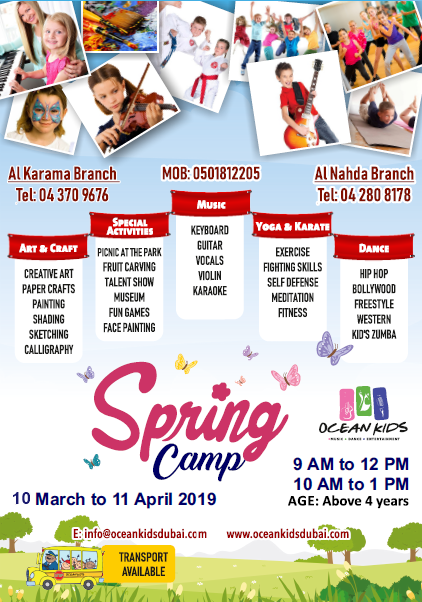 It is in August 2011 we, Oceankids plunged our roots in “the land of date palms” and we have received an overwhelming success so far in the Arab world. 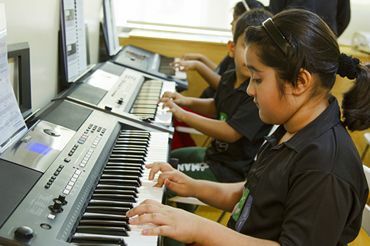 Our main focus is on sheer professionalism and dedication towards what we provide the students here. We bring out the talent of each individual here and chisel it to perfection. 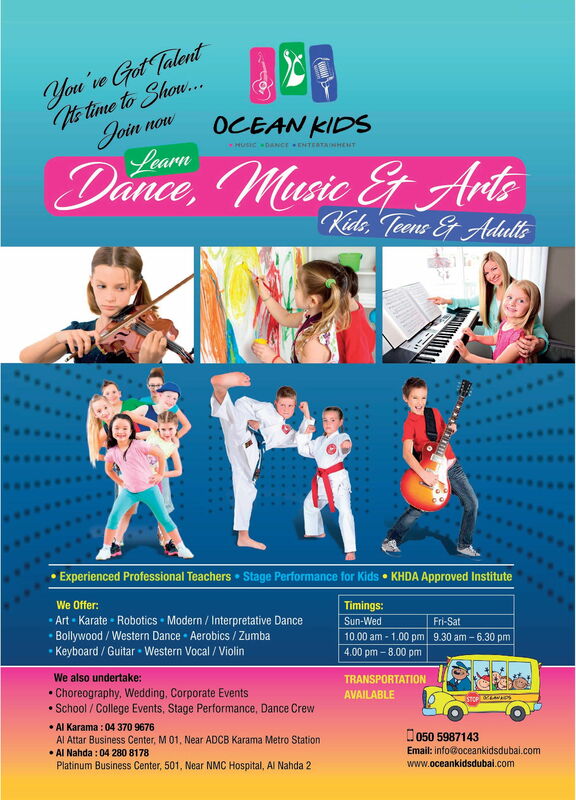 Ocean Kids Dubai dance classes and lessons help develop co-ordination, good body control and a sense of rhythm. 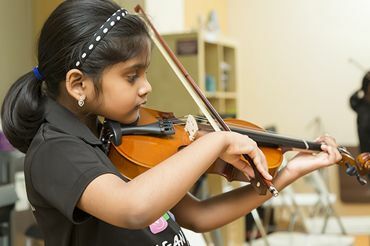 Music is a piece of art that goes in the ears straight to the heart. It definitely gives a positive and pleasant vibe to everyone. 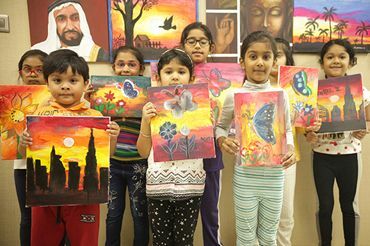 This world is a canvas to your imagination and kids have the imaginations at the peak now. 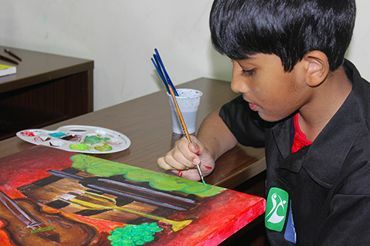 So let them paint it out in a canvas at Ocean kids. Education is changing worldwide. Today we want kids have knowledge and skills to think for themselves, to gather evidence, and to be able to stand up to a problem and solve it. 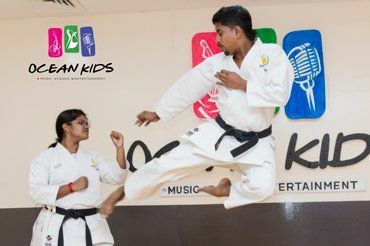 Karate can help us psychologically to Mind set. It can help us to divert us from the stress and the other life problems. Karate will help us to cope up with the fears in a better way. Yoga is the practice of accessing and integrating all aspects of our true nature, body, mind, and spirit, in the pursuit of inner harmony. Invite a friend, tell a neighbor, or just make a difference in a child’ s life by encouraging and helping them get to Camp.